Based out of our kitchen showroom in Worcester Park, Surrey we are a family business who work with residential and commercial customers designing and installing dream kitchens. With over 25 years experience in design we can help our customers achieve that true dream kitchen. 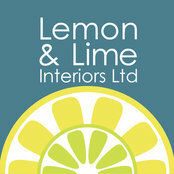 Lemon & Lime Interiors have worked worked on all size kitchens from farmhouse to basement flats. We use the latest cad programs that will give our customers a true feel for what there new kitchen will look like. The most important thing for us is that you feel we are working with you. The design and layout are the first and most important to the design team. The choice of materials is unlimited meaning you really are spoilt for choice. Contact the team to discuss your kitchen on 0208 337 7577 or visit our Worcester Park Showroom.